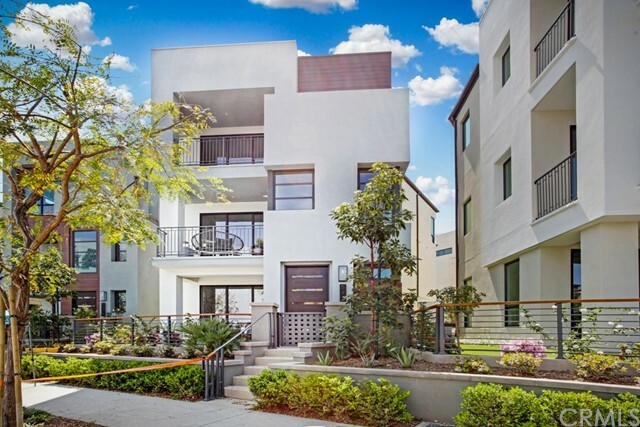 All Playa Vista homes currently listed for sale in Playa Vista as of 04/26/2019 are shown below. You can change the search criteria at any time by pressing the 'Change Search' button below. "Nearly new Playa Vista home with coveted priority admission and short walk to flagship public elementary school (Loyola Marymount University partner school). Stunning views of the bluff from every floor. Main floor boasts spacious living room with wood flooring, large balcony, fireplace, large dining room with second full balcony, gourmet kitchen with eat-in island, caesarstone countertops, architectural glass backsplashes, limestone floor, stainless steel appliances, gas cooktop, ample cabinetry including lazy susan pantry, powder room. Expansive master suite boasts sliding glass doors, Juliet balcony, walk-in closet, sophisticated bath in crema marfil and emperador marble, dual vanity sinks, spa tub, separate glass shower. Washer/Dryer. Two car garage. Big patio-garden, built-in gas firepit. Large second bedroom on third floor with full bathroom. Third bedroom or bonus room with full bathroom and closet on first floor. Near restaurants, fitness clubs, and parks." 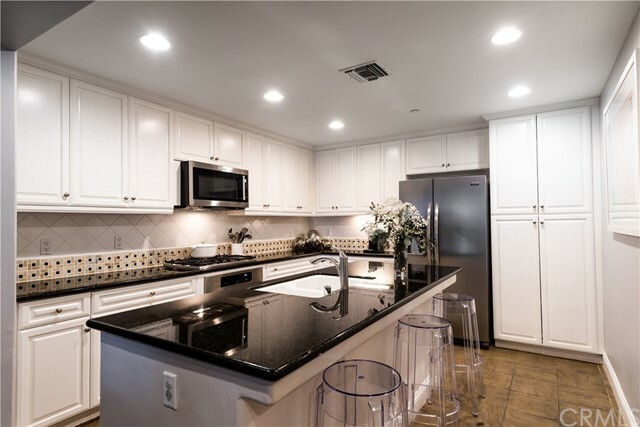 "This rare and spacious 3 bedroom townhome style condo full of vaulted ceilings feels like a large house within the art deco Metro complex of the fabulous Playa Vista Community! The community that has it all with WholeFoods, movies, restaurants, pools, a library, tennis & basketball courts, and even shuttle service throughout and to the beach. It's essentially a mini city and once you arrive, you never want to leave! And if you do decide to change it up, your proximity to the beach, freeways, and airport is all within minutes! This home is also one of the few with a huge patio perfect for your furry friends, it's been freshly painted, and lastly, note that 3rd bedroom is currently used as a dean with the closet being converted to builtins which could easily be converted back if you chose." "MASSIVE price reduction! Perched at the top floor of The Dorian is the perfect home for those who would like to have a quiet, amenity-laden oasis in the center of all the action.The south-facing main floor is perfect for entertaining with hardwood flooring, lg. entryway, spacious kitchen w/upgraded stainless-steel appliances and marble backsplash, roomy living room with fireplace, dining area, balcony, and half bath. Descending down to the 2nd level features a laundry rm, secondary bdrm w/en-suite full bath, and the master suite with generously sized walk in closet, dual vanities, soaking tub, and marble-tiled shower and bthrm floor. Details such as 10 ft. ceilings, solid core doors, and split zone HVAC w/ Nest thermostats add for a luxe feel throughout. Unit also includes 2 side-by-side pkg spots w/ 240V outlet for electric car charging and a pvt. storage area in the garage. The Dorian is the newest condo bldg facing lush Crescent Pk and has EQ Ins., stately lobby w/ clubroom & gym." 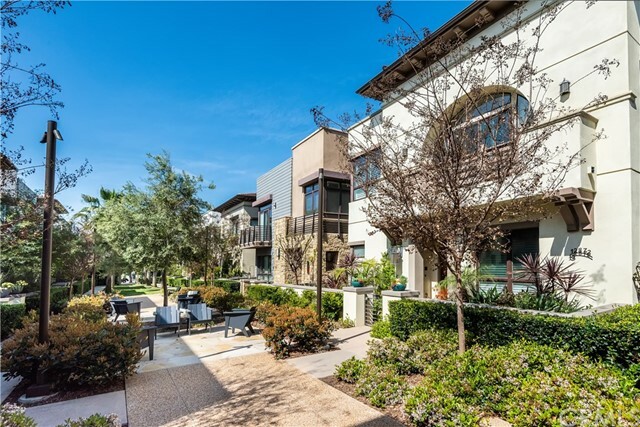 "Coronado at Playa Vista! Beautiful 3 bedroom, 2 1/2 bath home spread over 1630 sq ft. This amazing home is accessible from your own private entrance off of the first floor balcony. Recent updates throughout such as a brick accent wall in the dining area, new light fixtures, hard surface in every room and more. The entertainer's kitchen is outfitted with stainless steel appliances, pantry, beautiful backsplash and plenty of cabinet space. Upstairs the oversized master suite includes dual vanities, separate shower, soaking tub and a huge custom master closet. The guest bedroom and en-suite bathroom offer a large space and great light. Relax on the spacious upstairs balcony. Side by side parking. 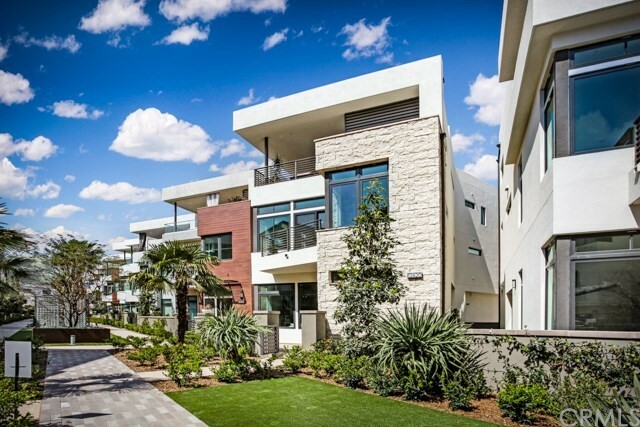 Located across the street from the Playa Vista library and the Centerpointe Club's gym, pool and spa. Just a block away from the highly rated Playa Vista Elementary. Side by side parking.Nearby, Runway at Playa Vista is home to Whole Foods, Cinemark Movie Theater, restaurants, shops & more!" "Welcome to this rare phase 1 - 1,860 square foot 3 bedroom 2.5 bathroom two story town house style uniting the Carabela Building. Situated at the end of the Augustine Place Cut De Sac unit 121B is what we refer to as Turn Key . 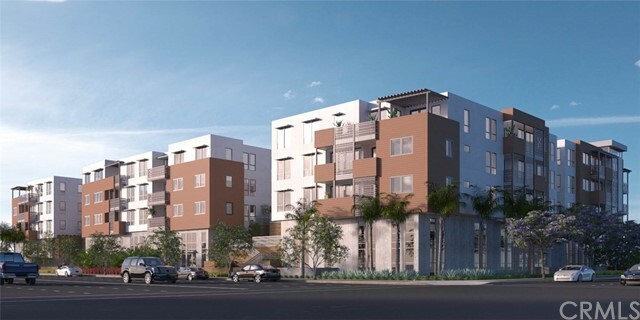 walking distance to Concert parks and many of the Playa Vista amenities. The main level consists of open floor plan, living, dining, kitchen space as well as a bedroom and 1/2 bathroom. The hardwood floors and paint colors in the unit are very inviting and make you feel comfortable while inside. The two sided fireplace is a wonderful feature for both the main living room and the first floor bedroom/office. The outdoor patio is accessed from both the living room and main floor bedroom. The master suite features an over sized master bath and walk in closet. The laundry room is on the second floor near the bedrooms."